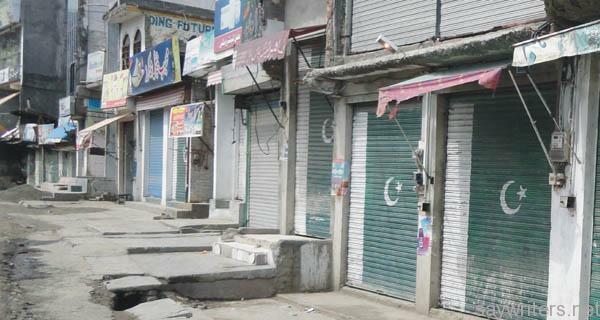 Home / National News / Swat Khawazakhela Traders Federation Observed Shutter down Strike against the security forces for arresting local residents. Swat Khawazakhela Traders Federation Observed Shutter down Strike against the security forces for arresting local residents. According to local sources, the residents of Chalyar, Tikdarai, Shamak, Titabat and other areas in Khwazakhela tehsil blocked road the other day to protest power loadshedding when security forces tried to disperse them that led to scuffle between the protesters and security forces. However, the security forces thrashed the protesters and also arrested some shopkeepers and forcefully closed down Khwazakhela Bazaar. “Actually, the protesters blocked road in Titabat area against loadshedding but the security forces came to Khwazakhela Bazaar and started beating everyone,” said Sajjad Khan and Abubakar, the president and general secretary of Khawazakhela Traders Federation. They said that traders decided to go on strike against the act of security forces. The shutter-down caused inconveniences to customers. Tags people protest against security forces Swat Khawazakhela Traders Federation Observed Shutter down Strike against the security forces for arresting local residents.